Compared to the real world, student life is easy. We are free to do almost whatever we want, when we want to. You never really have guilt-free time off, but you also don’t have to get up early every day. For many of us, summer internships are the first taste of a real job. We would soon discover that getting up early would be the easy part. As interning consultants, our job is to work on a project or product for a customer, in our case Telenor. Here we face a completely different environment than what we’re used to day to day, and it has been a challenge. 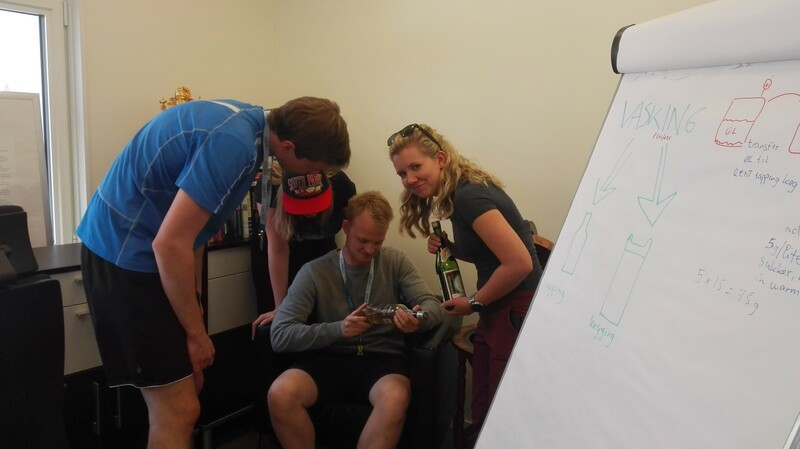 Our first obstacle was finding our way in the company hierarchy and structure. In a big company such as this, no-one has a complete overview of who knows what about which areas, making it difficult to get things done. Both teams have faced this a number of times, most recently with Team Support. In Lean you want to get experiments done quickly, but in big companies such things take time. 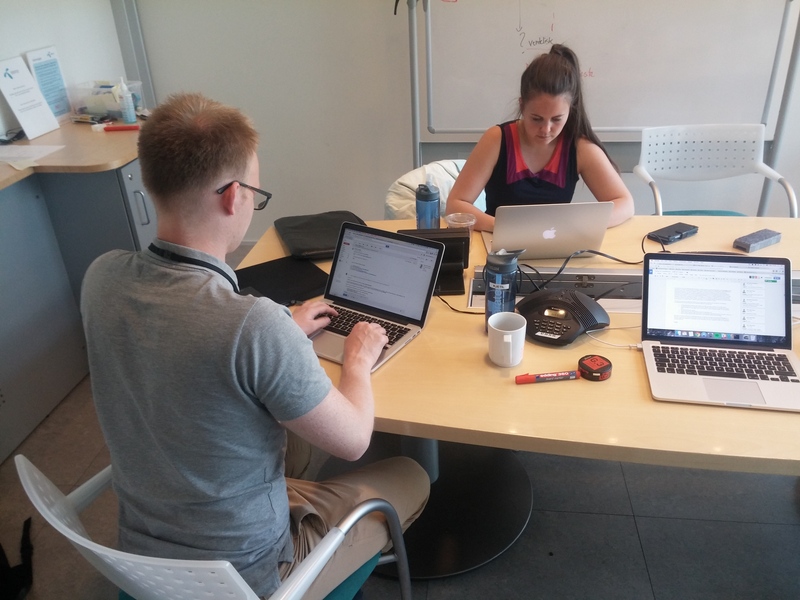 Our ideas for tests and experiments changed faster than the turnaround time for Telenor’s Facebook team, making it difficult to get anything out in time. When our schedules finally lined up, the person who had the particular skill set we needed had left for his summer holiday. 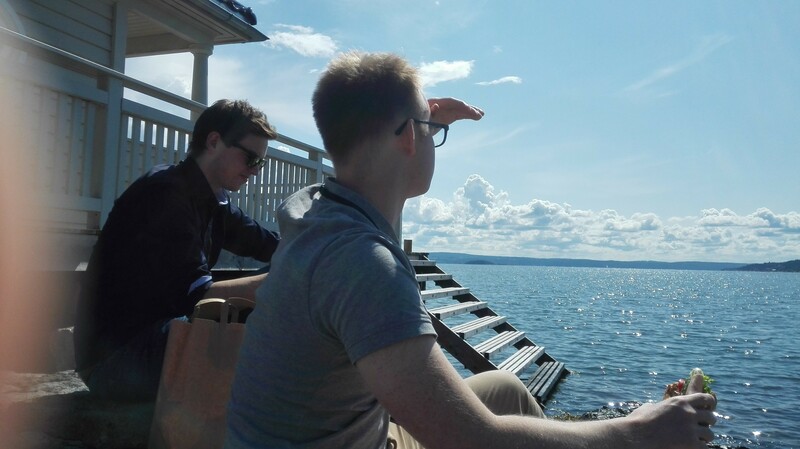 This is pretty typical for Norway in July, when most of the work force is out. In a big company things like this is hard to pick up on before it’s too late. No one thinks about asking for particular sub skills before we need them. The issue of summer holidays has also been affecting our customer segments. Our methodology is built on finding and testing our ideas on customer segments through experimentation and interviews. While we were certainly able to find customers, they might not represent the typical customer during a year. We might also end up missing some customer segments entirely. 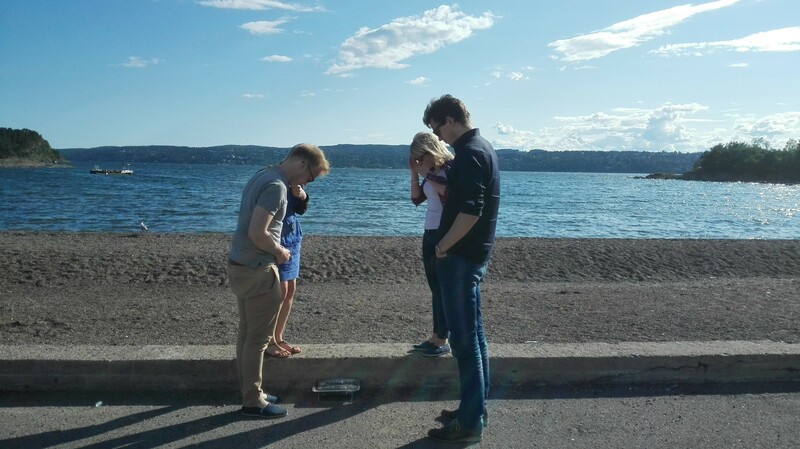 Team Phone has been knee deep in jurisdictional issues this week, making sure the contracts between the test users and Telenor are watertight. It all needs to be ready for the big hand over next week, and we can’t afford any mistakes. Luckily, Telenor Digital has offered their lawyers to help the team out, guiding them through privacy rights and Norwegian law. All throughout this project it has been difficult figuring out when to trust ourselves and when to trust our customers and mentors. There have certainly been occasions where people want to go in opposite directions, which has sometimes lead us to switch paths. Going back and forth like this has caused confusion, but it has also lead us to discoveries we otherwise wouldn’t have come across. Our task this next week will be to figure out when to go with our instincts and when to go with our mentors or customers. We might not always be right, but neither are they. Iterate has gone far in helping us trust ourselves and get confident in new areas. 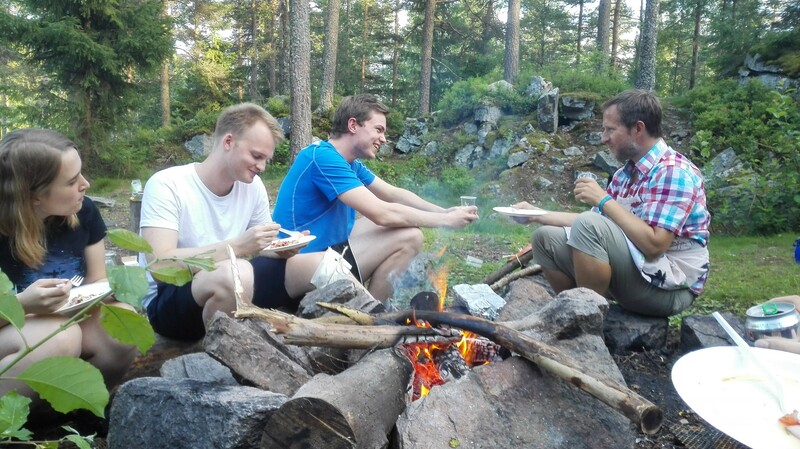 This week we were treated to teambuilding and dinner in Bangskogen with Iterate’s very own BangKokk. 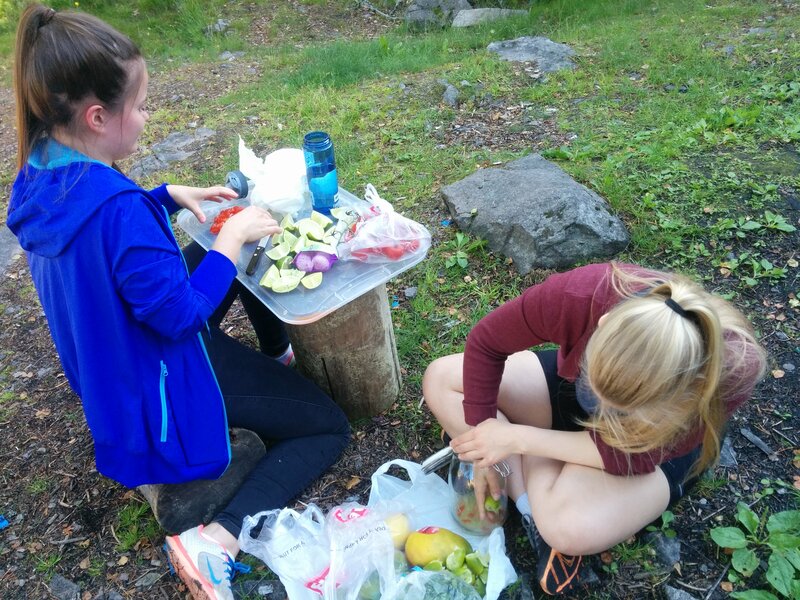 Iterate-Tom told us to bring hiking clothes and swimwear, and to be at the camp site by 6pm. 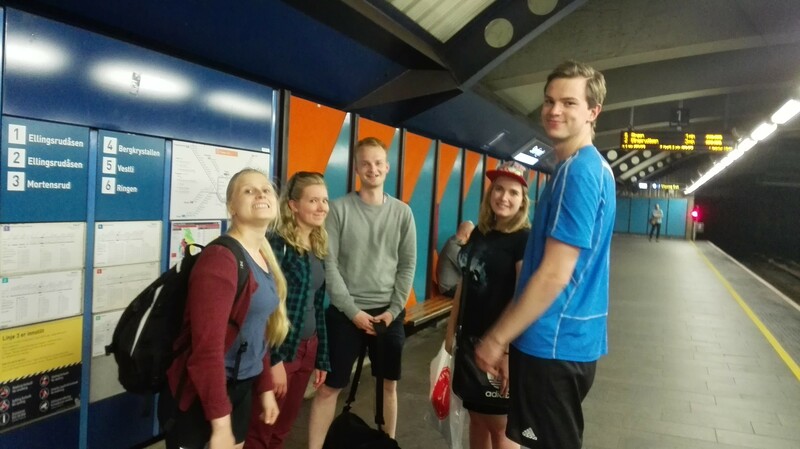 Luckily Kjetil has been to the area before, so with his help we managed to arrive ahead of time without having to ask for extra hints. We had to do most of the work preparing the food ourselves, with great guidance from Tom. 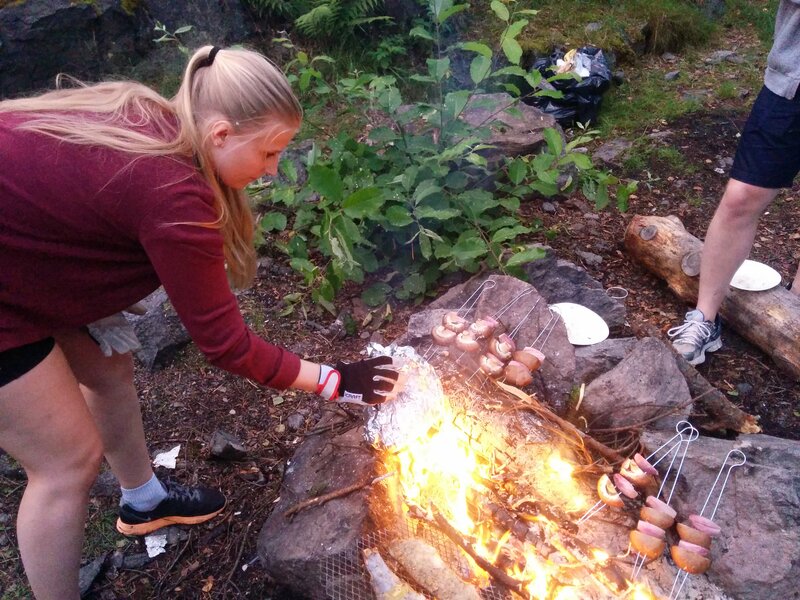 Kjetil and myself got to try our hands at filleting fish, whilst Nils and Aina readied the campsite for food. 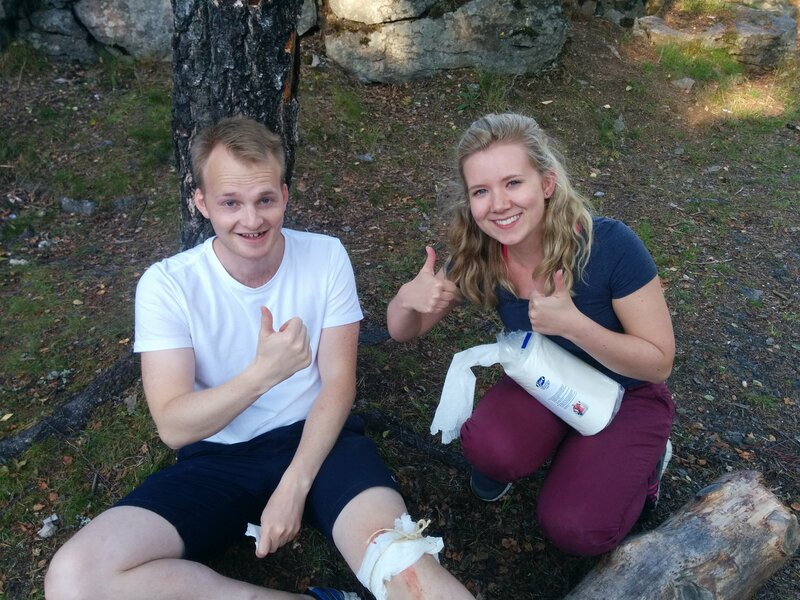 Life is tough for the wounded, and Kjetil was served food and drinks until he could safely stand up again. Other than a few mosquito-bites and slightly burnt fingers, no more injuries were had. 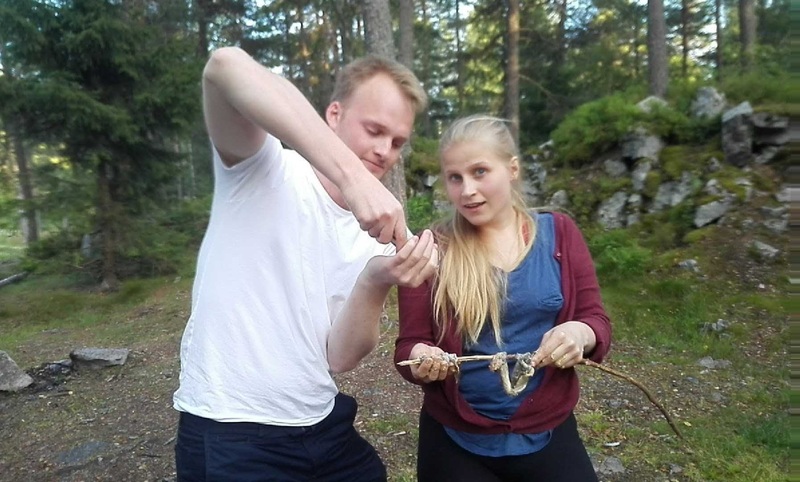 Six fantastic gourmet courses and quite a few drinks later, us interns got back home around 3am smelling like fish and campfire. Safe to say we didn’t get a whole lot of sleep before having to be back at work by 8am the next morning, seeing this was a Wednesday. No rest for the wicked. Team Phone had a full day of interviews ahead of them, but managed to get through them all before crashing of tiredness that afternoon. Following in this trend of late nights, we ended this week with a wrap up party for the internal pilot Team Phone has been running. 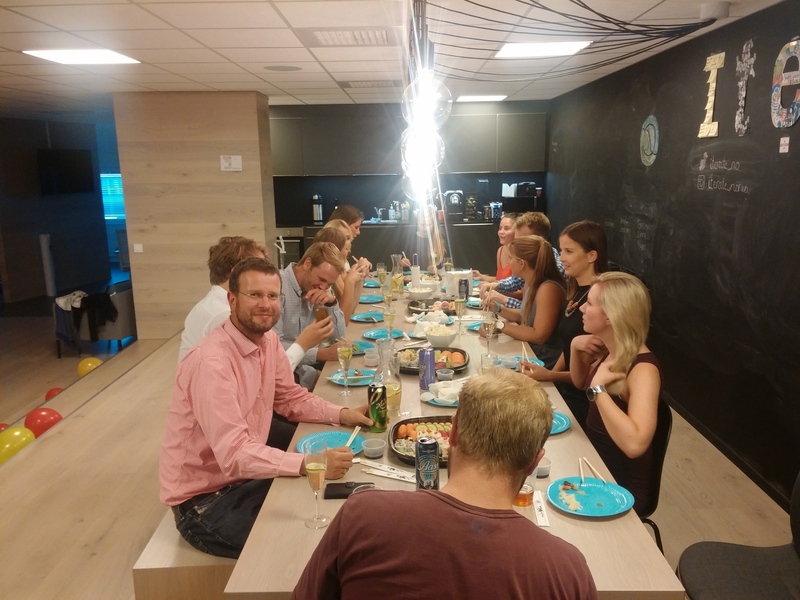 Interns at Telenor have been our test users, and we wanted them to join in a celebration before the project is handed over next week. 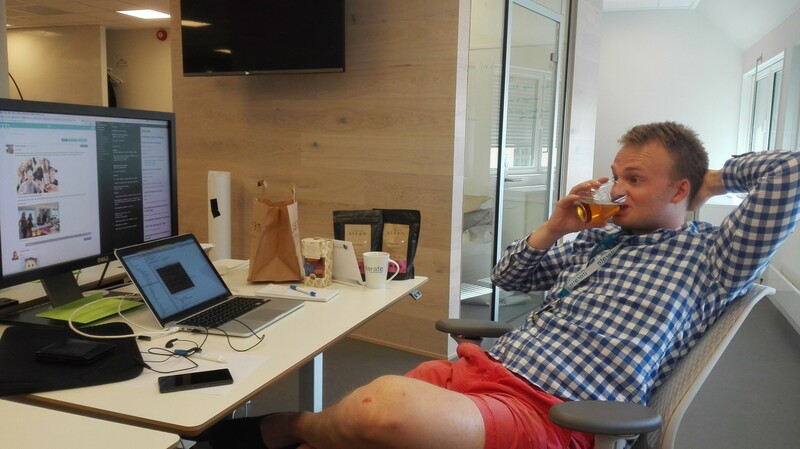 While partying at the office saved us some money, it might in hindsight not have been the greatest idea. The floors looked pretty terrible after multiple rounds of beer pong, but all Iterate interns stepped up and spent Saturday morning cleaning the place from head to toe. This internship is teaching us a lot, not only in skill but also in responsibility. While there is guidance and always a mentor within reach, there is no handholding. We have to figure this out mostly for ourselves, for better or worse. Sometimes we fail, but that’s part of the process. 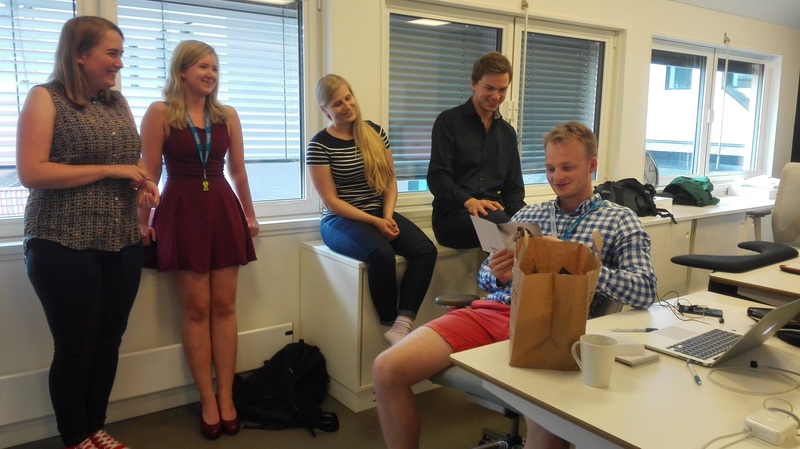 There’s only one week left of our internship, and we all feel pretty nervous about the handover to Telenor. 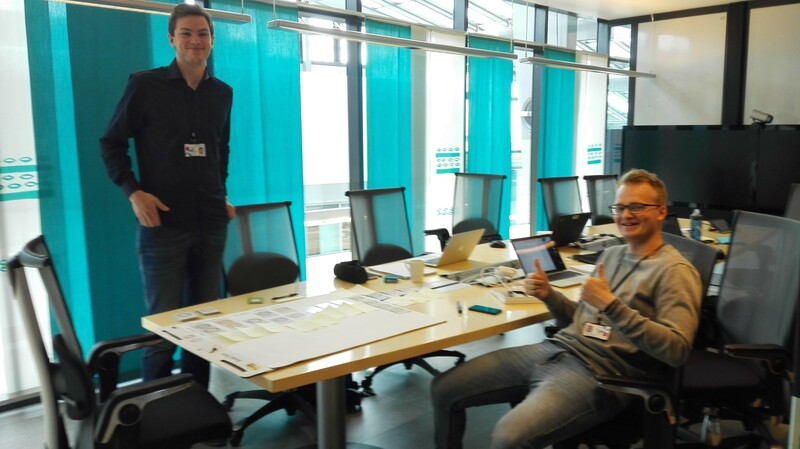 Will our work be good enough, and will our results be what Telenor expected? We don’t know what the next week will bring, but hopefully we will be able to trust ourselves to make the right decisions so close to the end. Until next week, you can also read about our blog from the first, second, third, and fourth week, and follow our twitter for more updates. This entry was posted in Entrepreneurship, Experimentation, Innovation, Leadership, Lean, Lean Startup, Management, Methodology, Technology, Test. Bookmark the permalink.